This time in Earth’s history is famous for the great reptiles that have captured the hearts and imaginations of people worldwide. But dinosaurs didn’t appear until late in the period known as the Triassic, and at that point in history, many other animals were bigger, fiercer and odder. 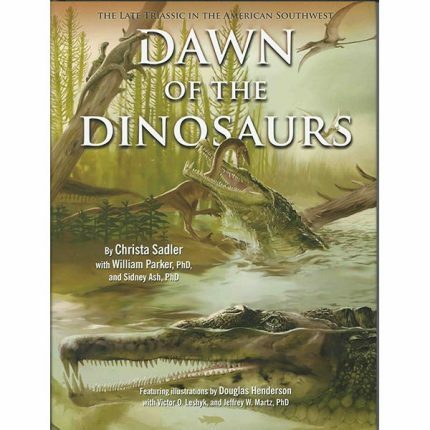 The day of the dinosaurs had a dawn and the Late Triassic was it. 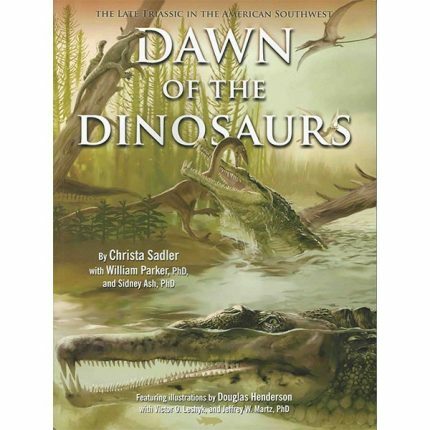 An update of the 1988 classic with all new text, new science, and new, expanded illustrations, Dawn of the Dinosaurs explores this extraordinary period in the history of our planet—a time when the first dinosaurs walked and breathed and the modern flora and fauna of our planet appeared. This tour of the bones, stones and landscapes that scientists study creates a vibrant picture of the lost world of the Chinle Formation of the American Southwest—one of the best records of this time period anywhere on Earth. Available in hard cover and beautifully laminated high-quality paperback.